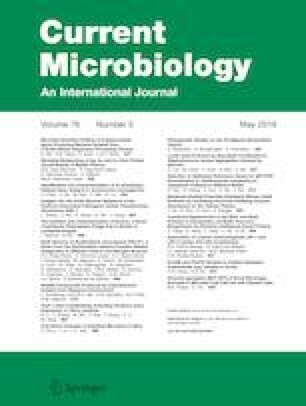 A novel cyanophage, S-B64, which can infect marine Synechococcus WH8102, was isolated from the coastal waters of the Yellow Sea using the liquid serial dilution method. Morphological study by transmission electron microscopy revealed that the cyanophage belongs to Podovirus. It’s genome, which was completely sequenced, contains a 151,867 bp DNA molecule with a G+C content of 41.78% and 186 potential open reading frames. The functions of the genes include cyanophage structure, cyanophage packaging, DNA replication and regulation. After primary characterization, it was found that the latent period is about 3 h, and it lysed after 8 h, the burst size is about 23 virions per cell. This information will provide an important benchmark for further research on the interaction between cyanophages and their hosts. This study was support by the fund from the National Natural Science Foundation of China (No. 31500339, 41676178 and 41076088), and the Marine Scientific and Technological Innovation Project Financially Supported by Pilot National Laboratory for Marine Science and Technology (Qingdao) (2018SDKJ0406-6, 2016ASKJ14), at the same time, thanks are due to the Fundamental Research Funds for the Central University of Ocean University of China (Grant nos. 201812002, 201762017, 201562018).